Diagrams which represents the workflow or processes showing the steps of different kinds and connect them together with the help of arrows which give you the complete information about the processes and also let you know about the order of the steps of doing something is commonly known as a flow chart. 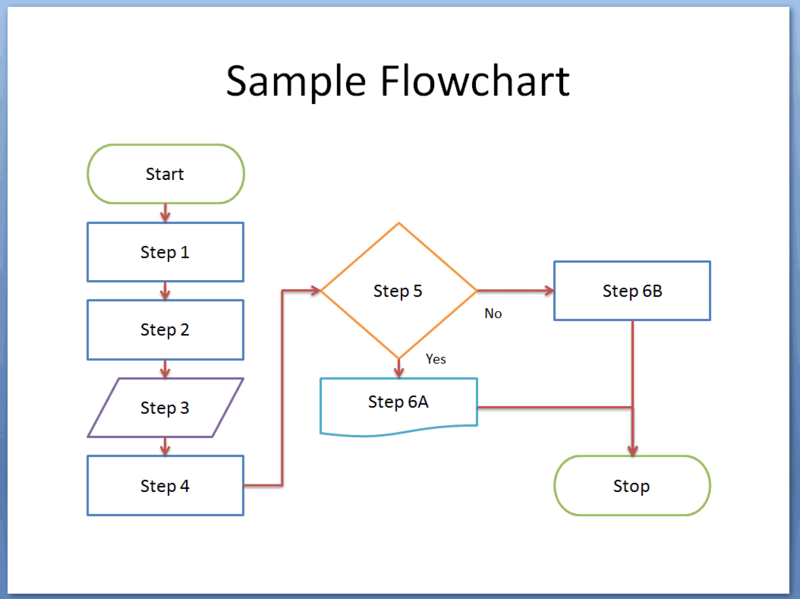 Flowchart is used to assess that which step is taken first and which step is taken in the middle or at the end. Flowcharts let you visualize the processes of your business whether they are running in a good direction or not. Flowcharts templates give you the detailed direction and steps of the processes or workflow of your business matters. There is always a starting symbol at the beginning of the flowchart, few of the process steps and the ending symbol at the end of the flow chart templates. You can edit the flow chart templates on your own according to the condition of your business and also with the accordance of configuration of the steps you have made to complete your business processes. These templates are also useful in making the sequence of the processes and also to show the production details of the business. Without having the printable flow chart templates, it is a back breaking task to know about the absolute sequence of the processes of the business and models of production details. But the flowchart templates, one can be relax enough to know about the workflow of the business. Because these flowchart templates are very easy and convenient to use in and to edit the flowchart by your own business by adding or writing all the processes you have done for the business in the sequence. Any flowchart is incomplete if the arrow signs are missing from the chart.